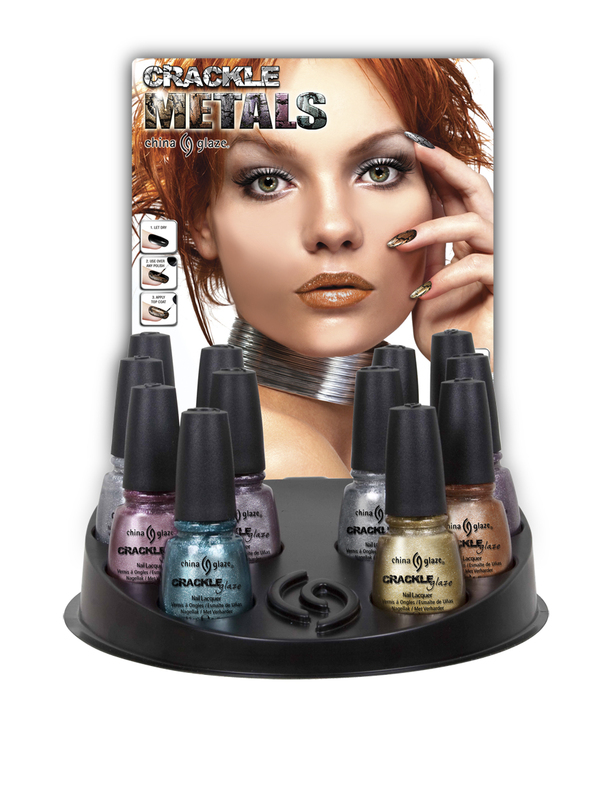 Never Enough Nails: China Glaze Crackle Metals Preview! You've probably seen this info a few times tonight, but I like to post this stuff so I can reference it in later posts. Feel free to skip this post if you've already seen the info! Cracked Medallion.... OMG, is this a similar color to Never Enough Nails Medallion, but in crackle form!!??!? Or maybe China Glaze just likes the word Medallion. I guess we'll see! These should be out sometime in June. In other news, don't forget my Cult Nails giveaway ends tomorrow night! I'll have some Color Club polishes posted up for ya tomorrow as well.